Author and veteran firefighter Ryan Vacek understands the demands placed upon firefighters every day of the year. He has firsthand knowledge of the “long hours, shift work, sporadic high-intensity work, and strong emotional involvement” that puts fire fighting among the most stressful—and most dangerous—occupations in the world. In fact, a recent survey by the International Association of Firefighters indicates more than one out of every three firefighters will be injured this year. Vacek says: “When firefighters are ill or injured, malnourished or overweight, overstressed or out of balance, their ability to do their job safely is affected.” Now, with his groundbreaking Fire Athlete Fitness Program, Ryan Vacek aims to significantly reduce firefighter injury and help “fire athletes” achieve robust physical health and stamina. His book offers a series of workouts that can be done at the fire station without expensive workout equipment. “Using out-of-service hose and an open bay for space,” Vacek says, “this program has helped many firefighters overcome the physical and mental challenges that hindered their firefighting abilities in the past.” His program focuses on movements similar to those used while fighting fires, and it uses firefighting equipment, primarily a standard bundle of hose. He takes firefighters through easy-to-follow steps for each workout and clearly indicates the intensity and duration of each exercise, including resting times between each “circuit” and the particular strength (for example, abdominal, upper body, endurance) that results from the exercises. The many photographs interspersed in the pages of the workout routines enhance the instructions and even include some before-and-after shots for encouragement. 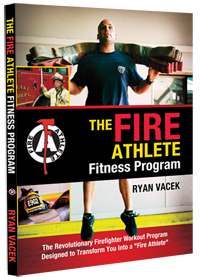 Vacek says: “My goal now is to share this program with any firefighter striving to increase functional strength, improve cardiovascular output and fire-ground stamina, lose weight and, most important, deliver results!” Being in peak physical shape is imperative, not only for firefighters to work effectively but to safeguard their health—and lives. With Fire Athlete Fitness Program, they can do just that. 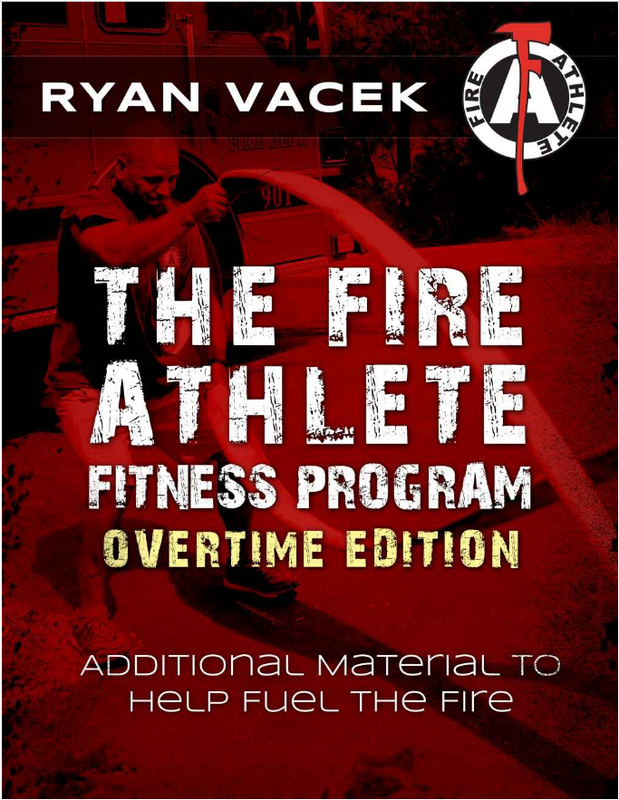 The Fire Athlete Overtime Edition eBook now available!